We work directly with your team to learn how your business works and what tools and custom software solutions will fit your workflow. Great design is as little design as possible, that goes for engineering too. We develop solutions piece by piece until you're satisfied. Software requires constant adjustments and a great platform to perform on, we're invested in supporting your team long into the furture. From custom applications to complex integrations. One of our clients was locked in with Authorize.Net as their payment provider. We developed a custom API package which matched Cashier’s interface allowing them to easily continue using Authorize.Net with updated backend code using Laravel. For one of our clients we developed a shipping truck management system, which matched trucks for delivery loads based on capacity and proximity to the customer. The system also had to handle shipping centre relationships allowing for trucks of one company to be temporarily parked at another location. We developed for one of our clients a custom job matching algorithm based on various criteria including data extracted from LinkedIn profiles. It handled rating systems and matching probabilities for recruiters to make more selective choices. For one of our clients we developed a real-time dashboard which provided information from CloudFlare, Github and Adobe’s web traffic system. The dashboard uses Laravel while the data is stored in an ElasticSearch instance. We populate it using Lambda functions with AWS. Imagine having the ability to analyze films and actors in a measurable way. 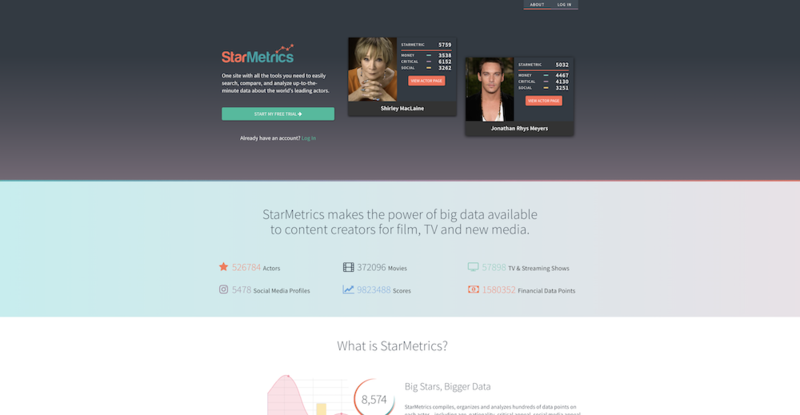 StarMetrics collects incredible amounts of information from various services to do just that. Would you rather have your software errors logged in the same platform that handles your uptime monitoring, and performance notifications? 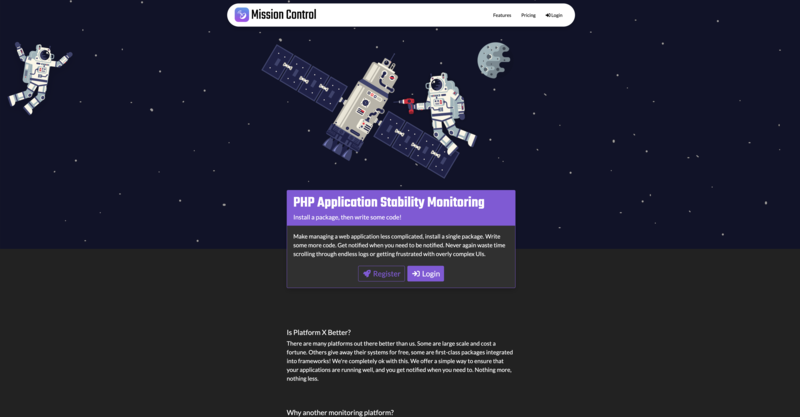 Mission Control is a powerful application monitoring platform. We actively send out a newsletter, talking about our upcoming open source code and product releases. Sign up below!